Hello! It's Release Week at Taylored Expressions, and all of the new products will be available on Thursday, October 2nd at 7AM PST! 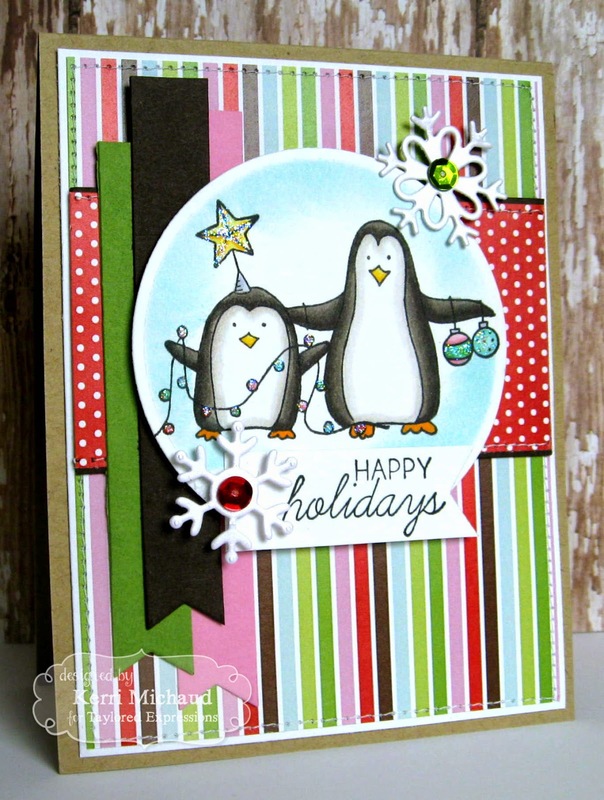 My first peek today features a couple of images from the new set Deck the Halls! I just love these adorable penguins! I stamped the small penguin first, then masked him to stamp the larger penguin. I colored the images with Copics and cut them out with a Circle Nestability. I added some Stardust Stickles for a little sparkle and some snowflakes that were cut with the TE Make a Snowflake Dies. I added some Gingerbread Lane Sequins to the centers. Did you notice the fun dp? This is a new paper pack from TE called Gingerbread Lane! I also used some Peapod, Strawberry Milkshake, and Chocolate Truffle coordinating cs. I stamped the image onto a banner cut with a Banner Stacklets 1 Die and I also used these dies to cut the banners along the side. The layout I used is Sweet Sunday Sketch Challenge 231. 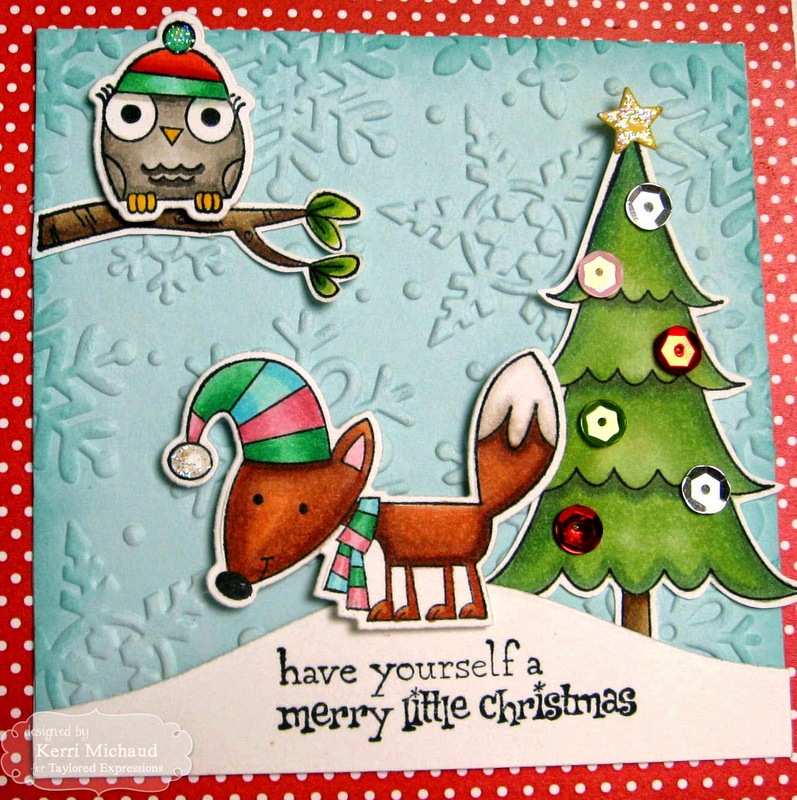 Next up I used an older set called Woodland Winter with the new Woodland Winter Dies! I stamped the images with Memento Tuxedo Black and colored with Copics. I cut them out (the fox and owl with the new dies, and the tree and branch were hand cut) and popped them up over a panel that was cut out of Salt Water Taffy cs and embossed with the new Winter Flurry Embossing Folder-LOVE!!! 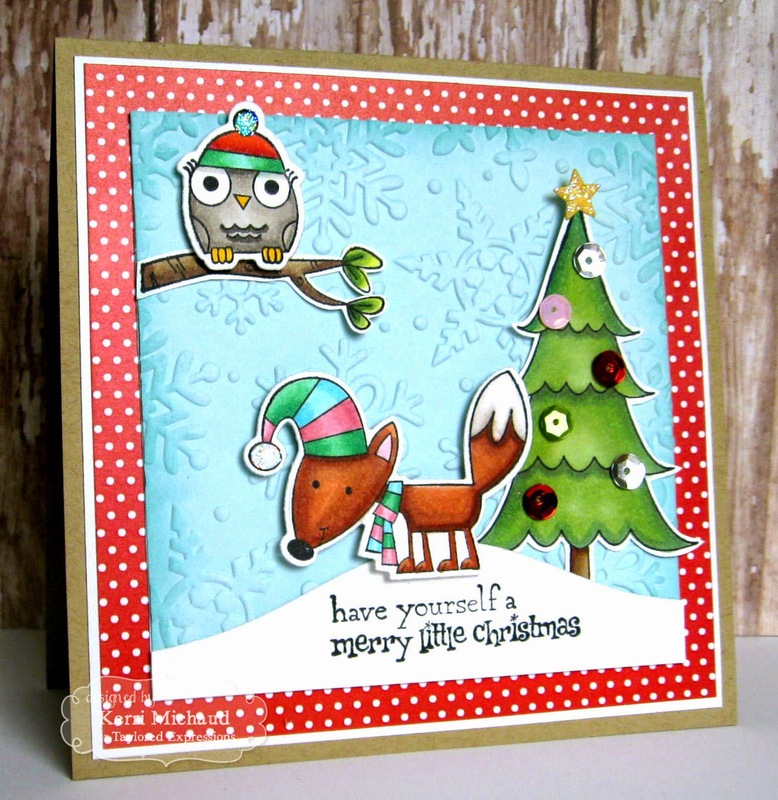 The snowy hill was cut with a Build a Scene Rolling Hills Die and I added some Gingerbread Lane Sequins to the tree. The dp I used comes from the Gingerbread Lane Paper Pack. Taylored Expressions is celebrating Release Week with some fabulous giveaways! Visit the TE Blog each Sneak Peek Day this week for details on how you can enter to win!!! Oh my goodness how stinkin cute!! Adorable!!! I just love that woodland winter card!! These are both darling, Kerri! Love the woodland scene! 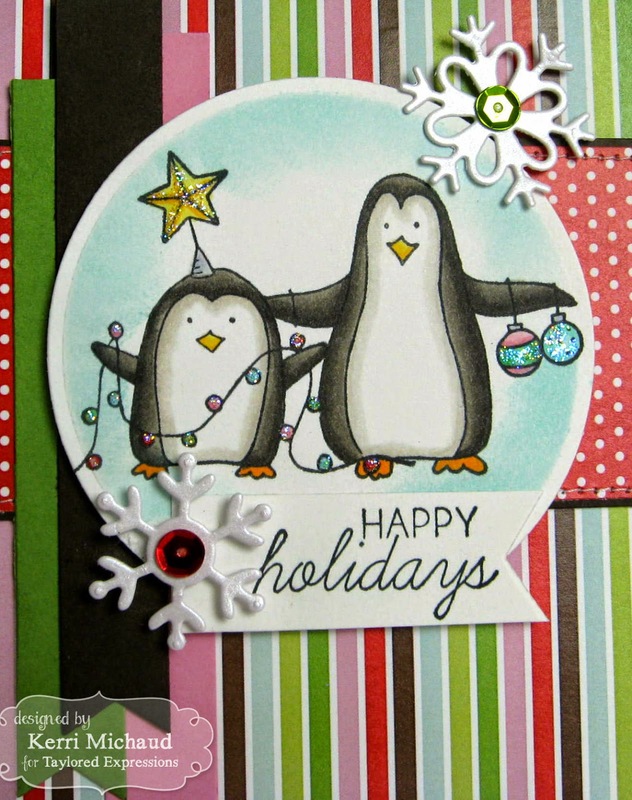 Your little penguins are adorable, Kerri, but the winter scene on the second card is over the top cute...OMG!! !